This beautiful outdoor resin set would make the perfect addition to any backyard or patio. 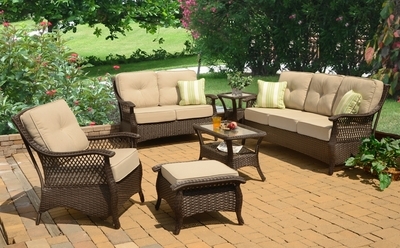 The light, airy lattice design of the sides provide a delicate look with the durability of “All Weather” polyresin wicker over an aluminum frame. Available in a luxuriously deep Mocha finish.